Serving as both a hot spot for the city’s most fashionable, talked about events and a low-key escape for A-listers looking for a quiet cocktail, Manhattan’s most prominent taste makers flock to the exclusive Rose Bar. It is home to Fashion Week after-parties, private film screenings, press events and on any given night, Rose Bar’s live music programming and world-renowned DJs spinning their custom playlists. 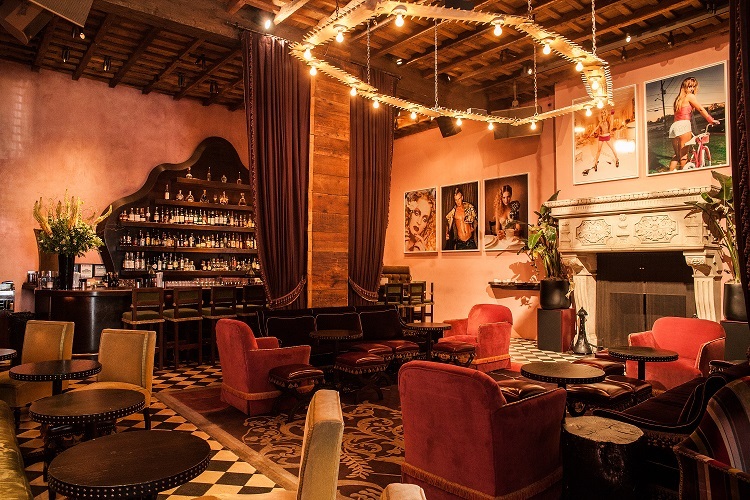 In addition, the lounge’s intimate music showcases, known as the Rose Bar Sessions, offer guests exclusive performances from artists like Axl Rose, Dave Navarro, Rufus Wainwright, Elle King, Lucius and BØRNS. This grand space with soaring ceilings is like none other in the city. It features custom furniture from Oscar-nominated director Julian Schnabel and a rotating display of bold artwork from 20th century masters like Andy Warhol, Jean-Michel Basquiat, Keith Haring, Richard Prince and Damien Hirst. But the space also maintains a sense of intimacy and warmth from its solid walnut bar, a 25-foot-long tufted banquette of silk velvet, a hand-carved limestone fireplace and Douglas fir columns. Limited reservations are accepted until 9pm. After this time entry is by invitation only. CAFÉ MEDI, located in Lower East Side, NYC, serves fresh and seasonal contemporary Coastal Mediterranean cuisine inspired by the traditional coastal dishes of Spain, Italy and France. Featuring a high-ceiling, sky-lit, mural covered 90 seat dining room, 22 outdoor terrace, 10 main bar seating and 8 more at Crudo Bar featuring the Chef’s fresh catch of the day. They also prepare vegetarian, vegan and gluten-free dishes. All Café Medi dishes are intended for shared enjoyment. LRV, Lazaro Rosa-Violan Studio from Barcelona, Spain, is responsible for bringing an edgy and artistic touch to our restaurant. Expansive 20-feet high floor-to-ceiling colorful tile mural was designed and crated by a Spanish artist who was inspired by a Peruvian Myth. 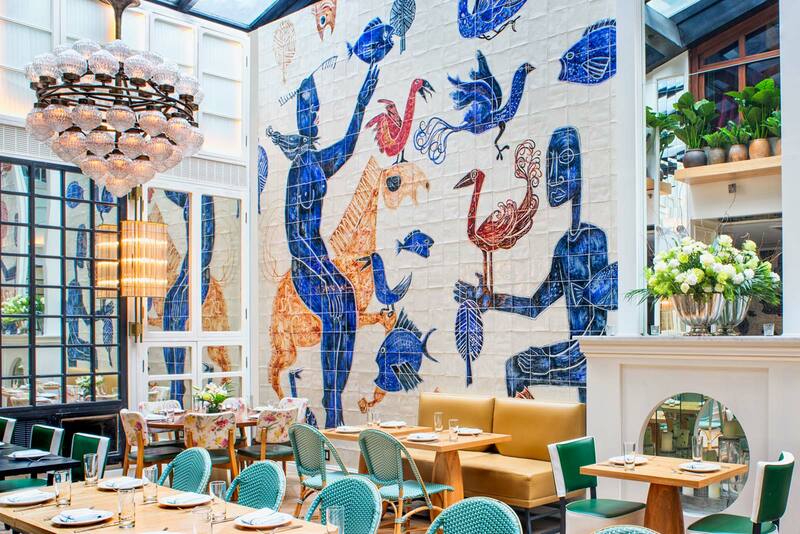 The Mediterranean-blue themed Peruvian Gods mural is their signature decor piece. Outdoor patio seating is available (weather permitted). Large group dining, birthday parties/private events welcome.